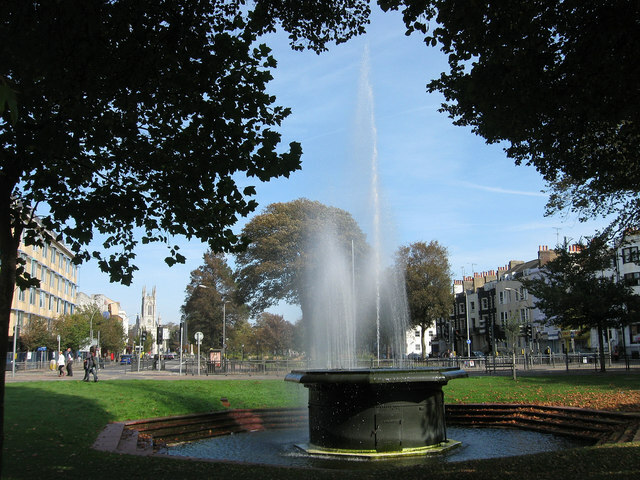 Two weeks ago I discovered the Mazda Fountain in Victoria Gardens will go if Brighton and Hove City Council has its way. After launching a petition and emailing all councillors I have discovered this will go through if leading Green and Conservatives have their way. It may seem obvious the Greens support it because the party is Brighton and Hove’s minority administration. However, what may come as a surprise to many is the Conservative opposition leader is just as supportive of the scheme. As you rightly point out, the proposals as they currently stand would require the Mazda fountain to be removed from its existing location, to be replaced by a new feature specifically designed for Valley Gardens that will be both cheaper to run and more environmentally sustainable. Unless there is a large groundswell of public opinion against these plans I am minded to support them at this stage. Note he is minded to support unless there is a strong public response against it. Here’s the part that annoyed me. I have asked officers for a briefing on the fountain that I understand was originally designed to be situated on a lake in London for the British Empire Exhibition of 1925 where it would be illuminated and demonstrate technical virtuosity. It was removed to Brighton at a later date when the exhibition finished and so there is no inherent connection with this city and its history and architecture. Having said that, I would be more than happy to see the fountain relocated within the city if there is support for this and a suitable place can be found for it. So the fountain has been in place for 80 plus years, for the majority of people’s living memory, but because it wasn’t built for the site it has “no inherent connection” with the city. Tell that to my family members in their 60s who have signed the petition. They grew up with it, they love it. I grew up with it, I love it too. This large fountain may not look like much but when the waters flow it is a stunning display with varying jets, just like the Bellagio on a smaller scale. What makes it extra special is the stunning control box. It is like a little green TARDIS with stunning stained glass windows. In two weeks I have seen surprise and anger from people I don’t know. On Brighton Facebook groups I have seen people say “the Conservatives won’t let this happen”. Oh yes they will as Mr Theobald’s response shows. Not all Conservatives support it. I’ve had a few saying they’re not happy. What has pleased me is Labour councillors are passionately against it. It is not surprising as the Valley Gardens project saw a consultation happen two years ago but what is happening bares little resemblence to what was presented. Removing the Mazda fountain was a joint decision by Greens and Conservatives behind closed doors. Email councillors, particularly Mr Theobald. Share the petition, let people know this is happening.